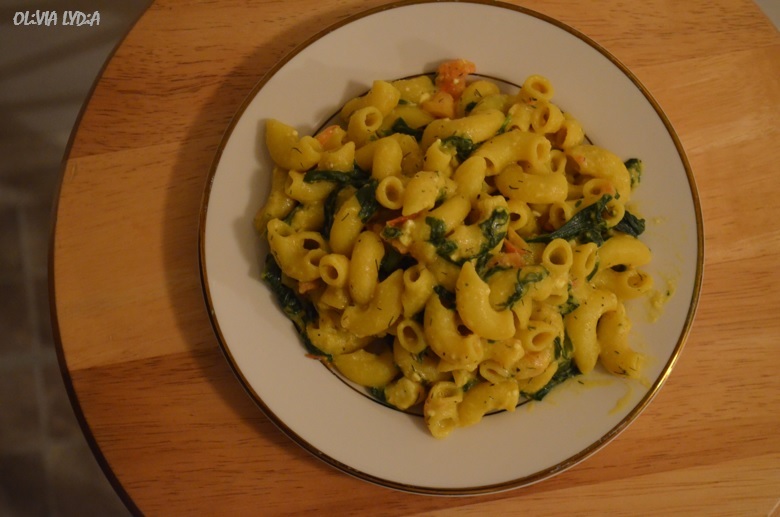 Greek-style Mac & Cheese – Olive For Greens. Mac and cheese is an all-time favorite. 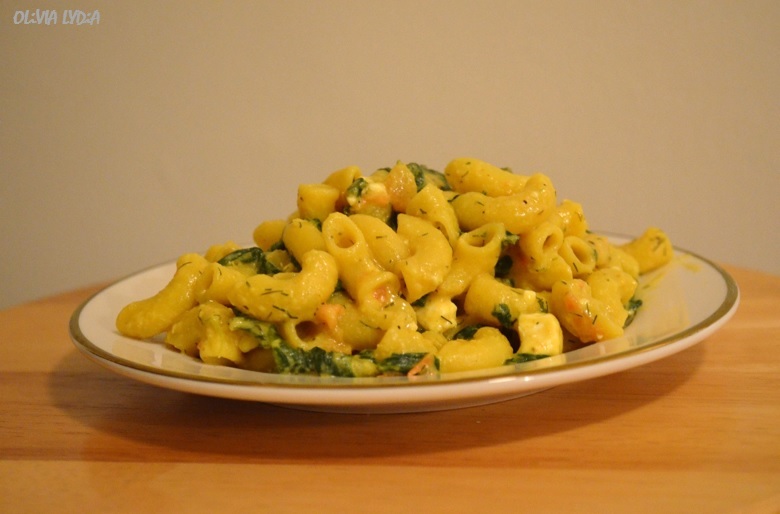 This recipe is an inspiration from both the vegan and vegetarian world because I use nutritional yeast and feta cheese. Some people would argue this is not a not mac and cheese because of the non-cheese ingredients included. Some may call it a casserole. Call it what you want! I call it Olivia’s Greek-style Mac and Cheese! Tip: If you only have frozen spinach use that! Note: For a healthier option (less calories), instead of the milk, reserve a ½ cup of water rather than ¼ of a cup. I’ve made this both ways, both are creamy. Boil the macaroni until al dente in salted water. Drain and set aside. In a small bowl (or cup) mix the tapioca starch and milk. Set to the side. Mean while, in a large sauce pan, add the coconut oil, onion, garlic, salt and pepper at low-medium heat. Sauté for one minute then add the spinach. Sauté until the spinach is slightly wilted. Next, add the tomatoes and feta cheese. Sauté for 1 minute. Add the cooked macaroni to the sauce pan at low heat. Then, add the nutritional yeast, dill, ground mustard and turmeric. Finally, add the milk. Simmer until the macaroni and cheese is creamy. Adjust salt to taste. With a big salad or lightly steamed broccoli. Next Post The Cheese Wiz! Pingback: The Cheese Wiz! | OliveforGreens!